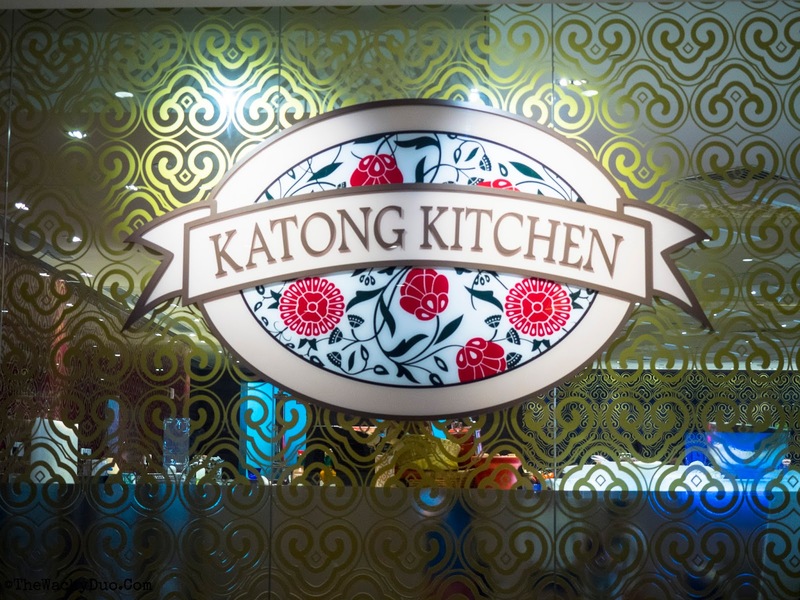 Have you been to Katong? Katong was known as the enclave for Peranakans back in the early 20th centuries. 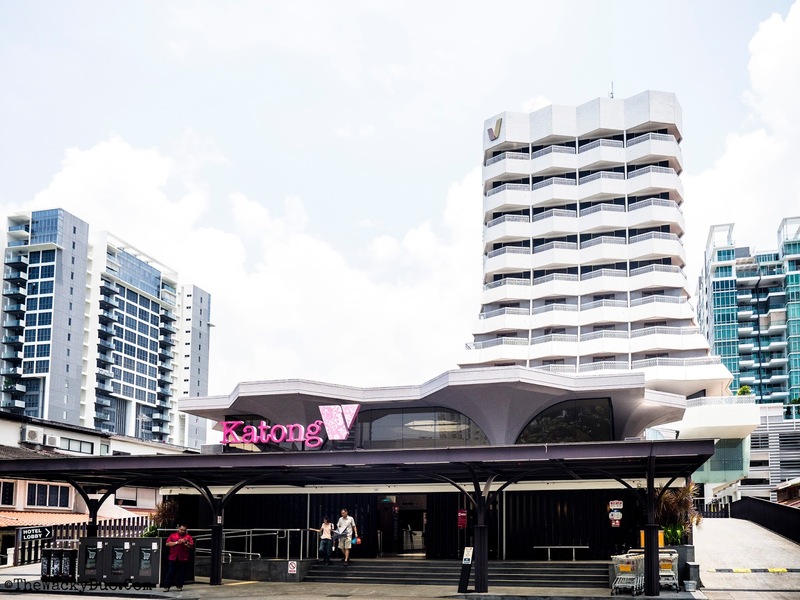 Today in modern Singapore, Katong has evolved to a 'mix culture' residential and commercial area. 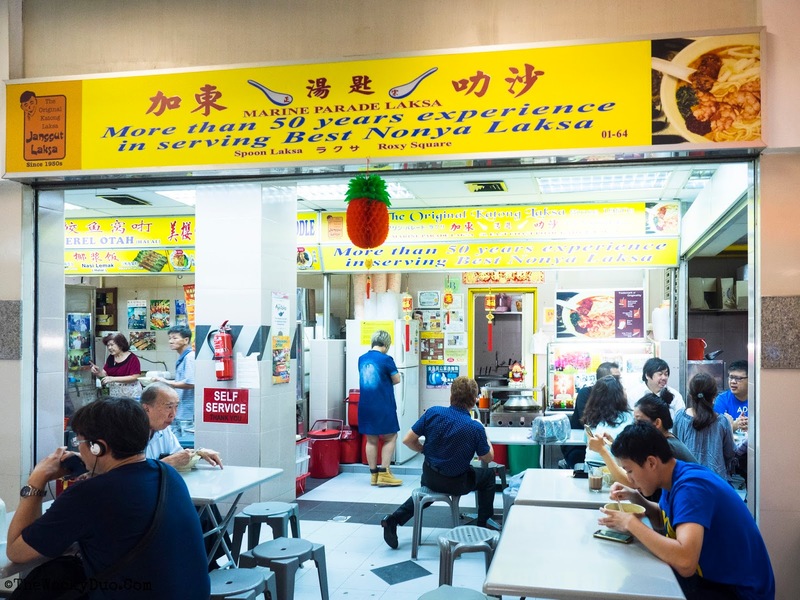 Eateries of different cultures and different countries are found peppered along East Coast Road and Joo Chiat Road. Nonetheless, if you look around, you will notice that the Peranakan culture is very much alive in Katong. To begin our exploration, a brief history of Peranakan is warranted. 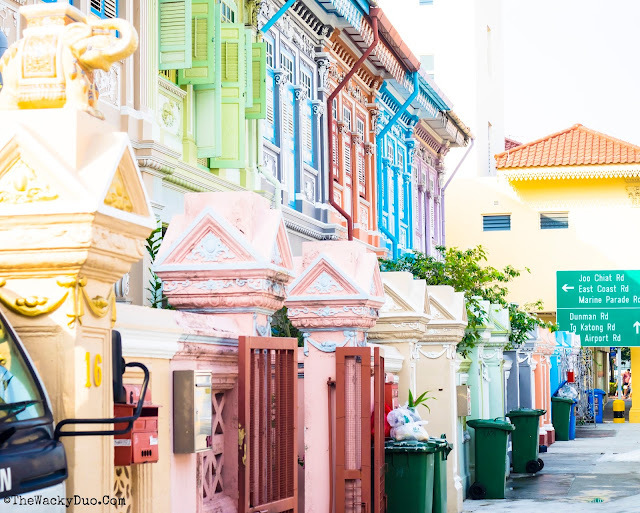 In Singapore, Peranakan refers to 'local-born' of mixed Chinese and Malay heritage with origins from the 15the century. While Peranakan commonly refers to Peranakan Chinese, there are also Peranakans of other races. 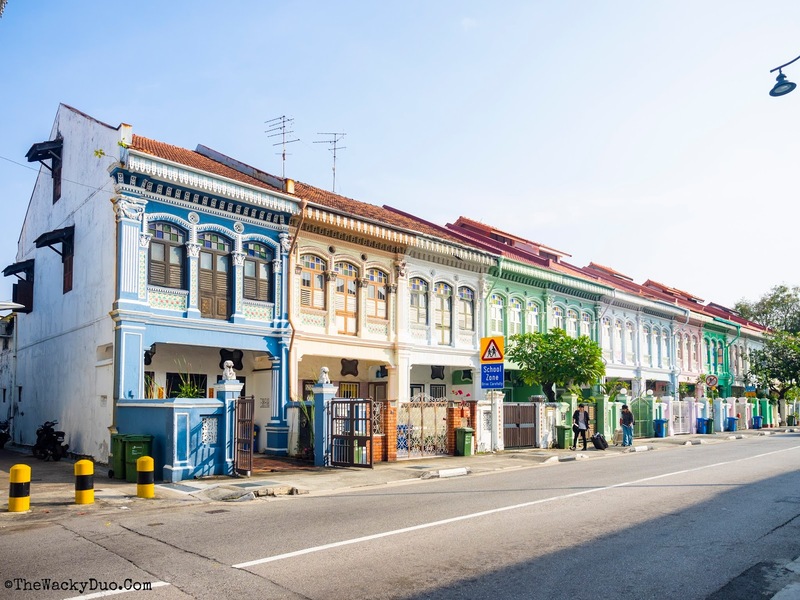 Katong and Joo Chiat are one of the main areas in Singapore where you can still have a taste of Peranakan lifestyle. Let's have a mini tour with us as we explore Katong and surroundings for Peranakan heritage. The hint of Peranakan heritage can be found in rows of shophouses and residential houses that have accents that are distinctively Peranakan. 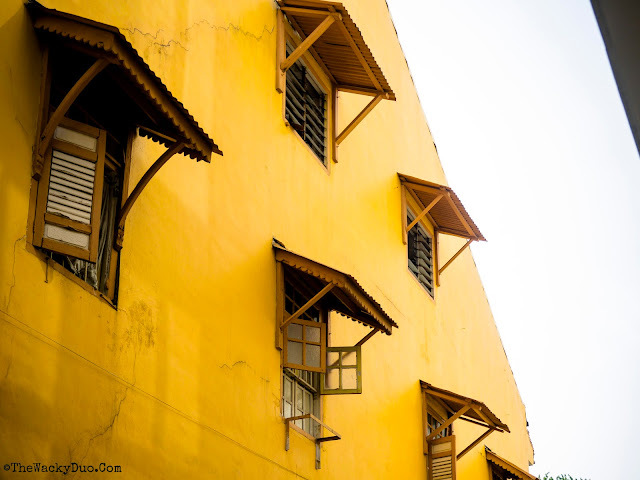 Here are a few facades that are well known and synonymous with Peranakan culture. These terrace houses on Koon Seng Road (near the intersection of Joo Chiat Road and Koon Seng Road) had been gazetted by Urban Redevelopment Authority for conservation. The main difference between the facade of old and now will be the colourful splash of colours on them. The final output looks like one of Peranakan favourite snack - the Rainbow Keuh Lapis. Observe closer and you will spot motifs of flowers and mythical creatures on the facade. These would be distinct trademarks of traditional Peranakan decor. 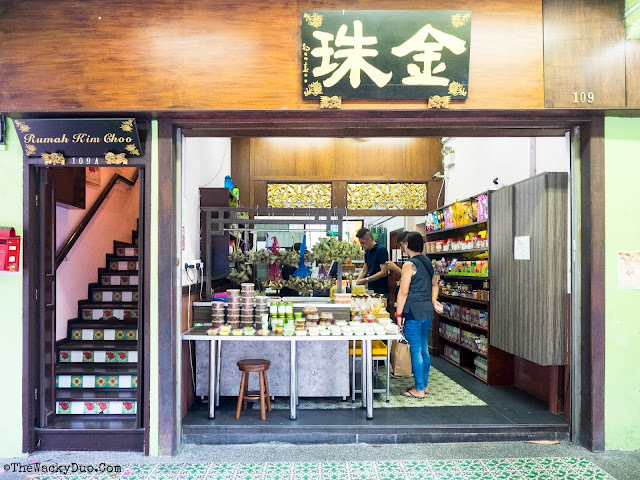 If you are looking for residential Peranakan houses with a modern touch, Sandalwood and Lotus@Joo Chiat are great places to start. 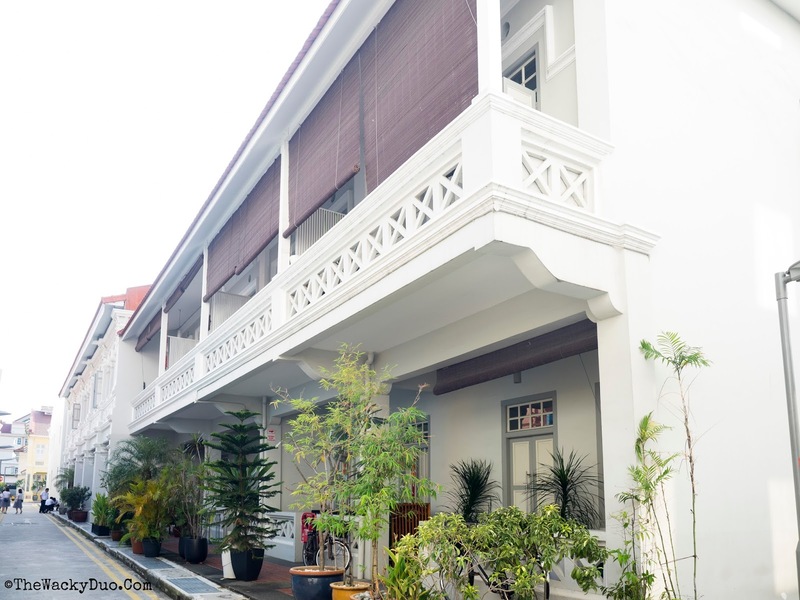 Both retain the original Peranakan houses as part of their condominium property while providing amenities such as swimming pool, car parks and security. 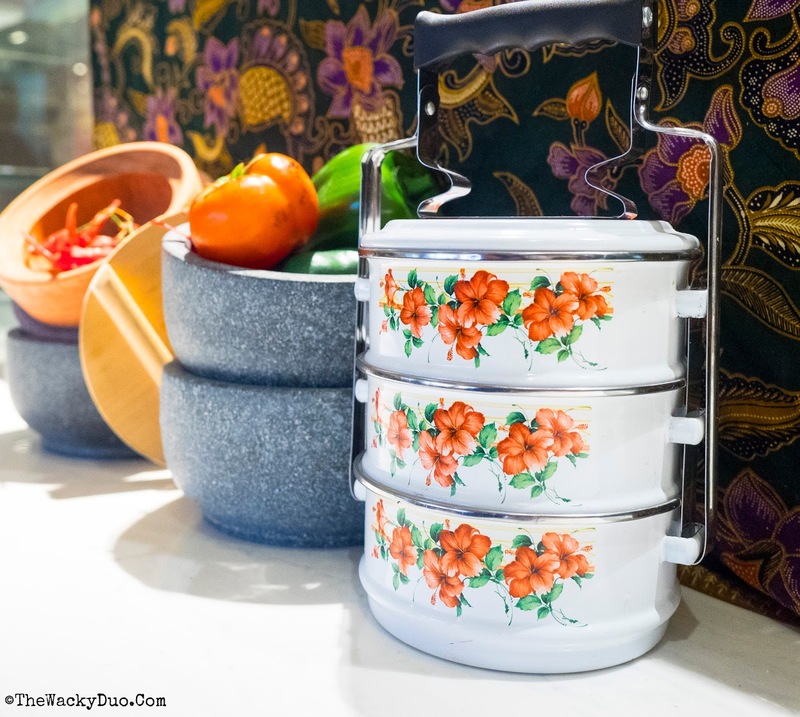 Want to live like a Peranakan? Try purchasing or renting a unit there. Tuck away in one of the small lane along East Coast Road ( near 112 Katong) is a row of interesting Peranakan houses with a unique entrance. It will be an interesting place to take your OOTD. 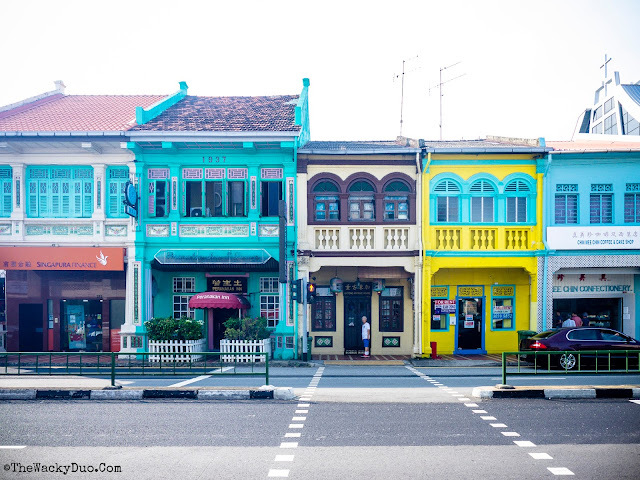 Lining the roads along Katong are these colourful Peranakan shophouses. Today, most shophouses are converted to restaurants and other shops. Nonetheless, some facades still remain the same as they were in the past... sans the new colours. 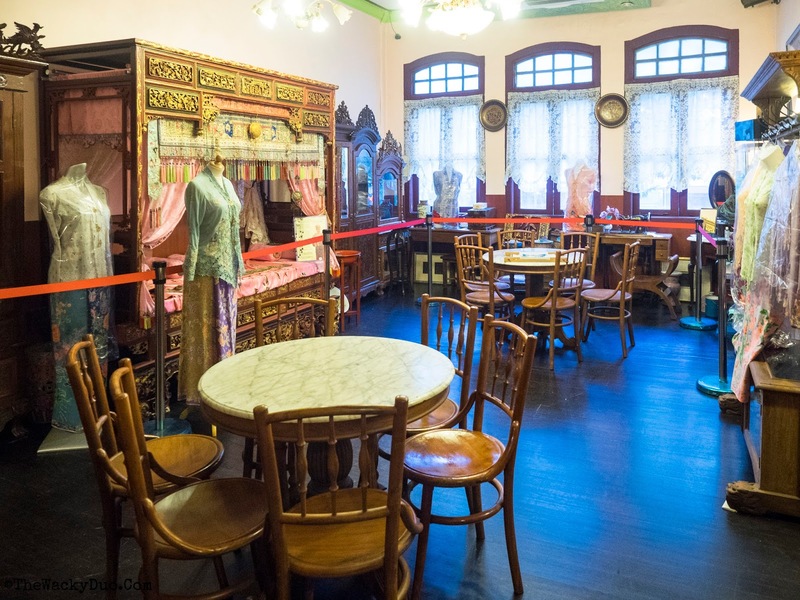 Do you know that there is not one but 2 mini Peranakan Museums in Katong? Rumah Kim Choo showcases case how a living quarter might look like in the past with Peranakan- inspired furnishing. 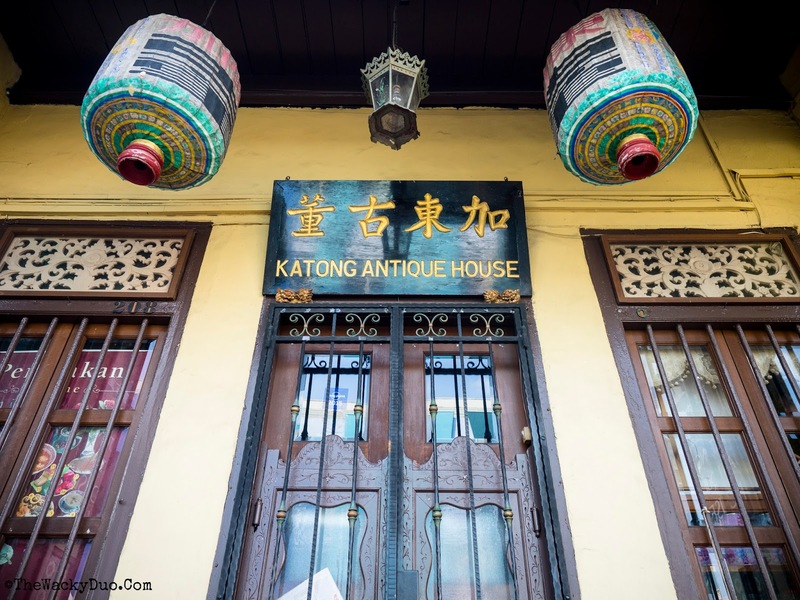 Another place to uncover Peranakan history is to visit Katong Antique House. It may not always be open, so do give them a call before visiting. Rumah Bebe is your one stop shop for your Pernankan needs. From Nonya fashion to heritage items, you can find them in this shop. 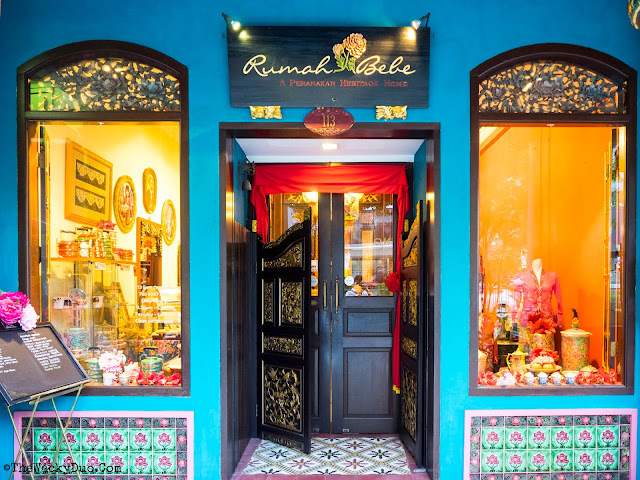 You can also enjoy an authentic Peranakan meal or take part in Pernankan beading classes there. 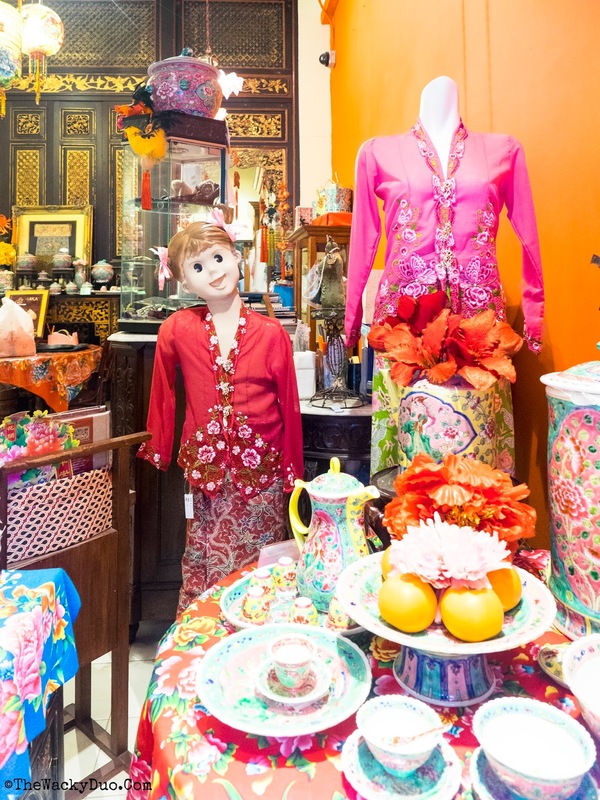 Rumah Kim Choo is the place to visit if you are looking for custom made Peranakan Kebayas. 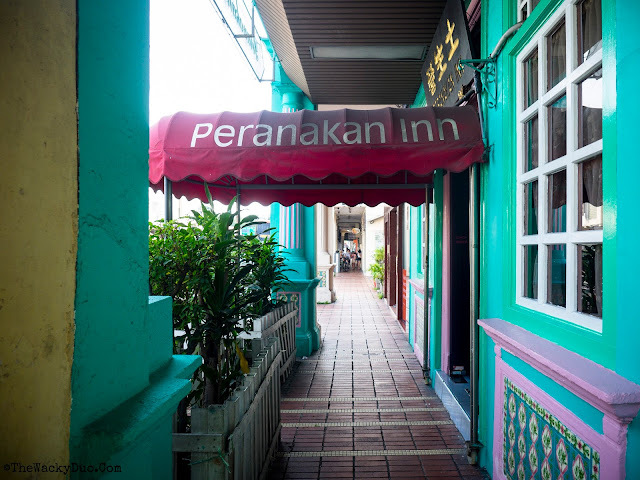 When in Katong, you must try Peranakan cuisines to complete the Peranakan experience. 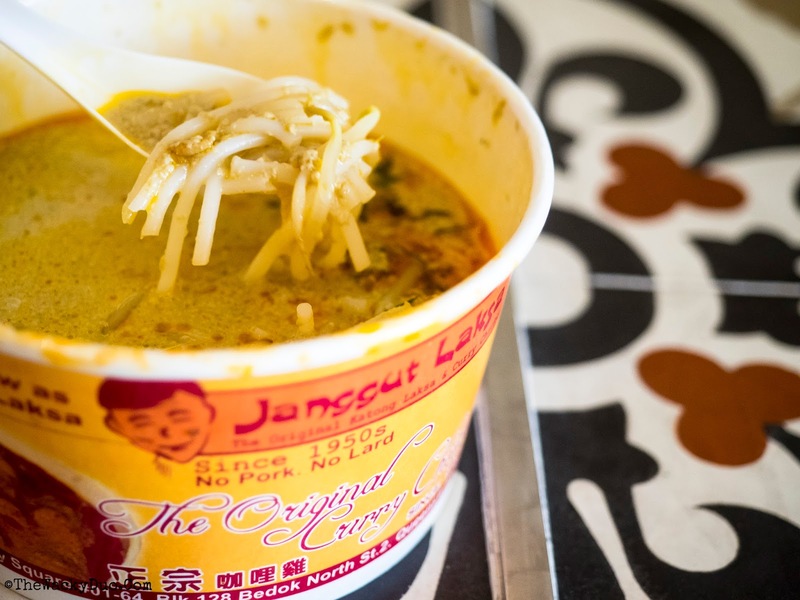 The original Katong Laksa can be found hidden in Roxy Square. Originally know as Janngut Laksa, it is documented to be the first to introduce the dish in Katong. There are other 'Katong Laksa' along East Coast Road too. Our suggestion, don't settle for second best and go for the real deal. If you looking for a hearty breakfast, you might want to head down to Katong Kitchen for buffet meals. Showcasing a combination of Peranakan and Western fare, it will fill your tummies to start the day. 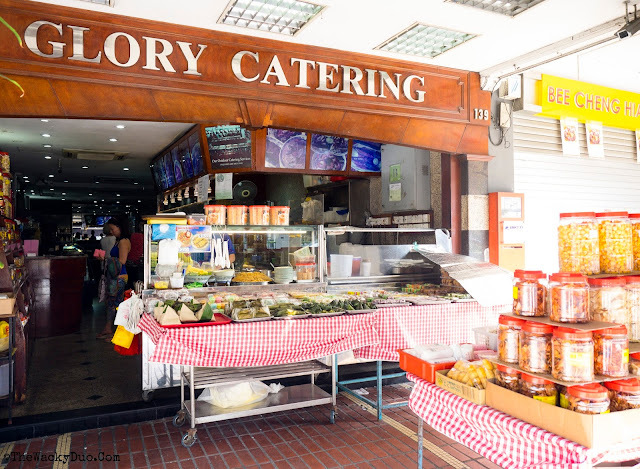 If lunch beckons, drop into Glory Catering for your meal. Do not let the name fool you. This outlet serves authentic Peranakan food and Nasi Padang dishes. If you are carving for Nonya snacks, look no further than Kim Choo Kueh Chang. Their Nonya Chang is the must eat snack. 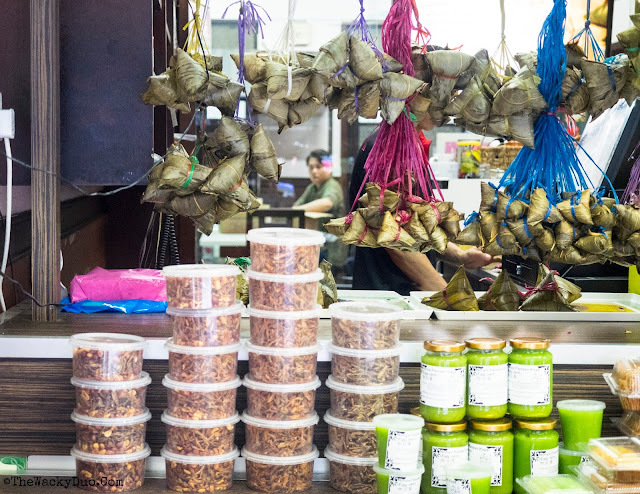 In addition, you can find an assortment of Nonya Kueh there. A sister outlet is also located at Joo Chiat. Fancy good old fashion Peranakan dishes? Head to Peranakan Inn for an authentic and cheap Peranakan fare. It may not be as fanciful as the newest dinner joint, but it is homely and old school. 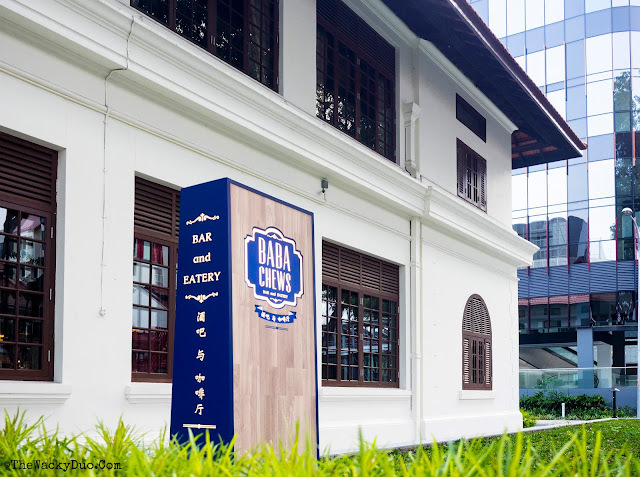 Baba Chew is a relatively new restaurant in Katong. Housed in the former Joo Chiat Police station, it is a bar and eatery where you can have dinner in the evening before ending the night with a drink. The interior is decorated with Peranakan accents. 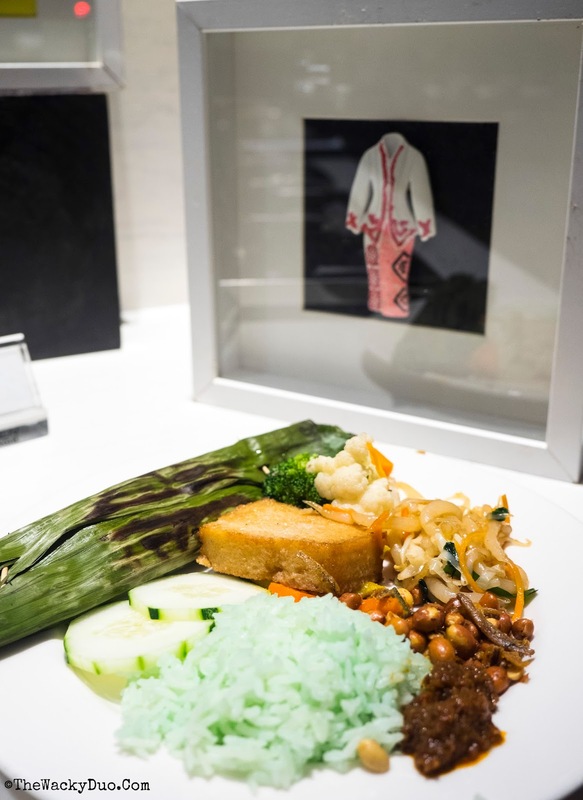 The Peranakan dishes are cooked in traditional style with a modern touch. 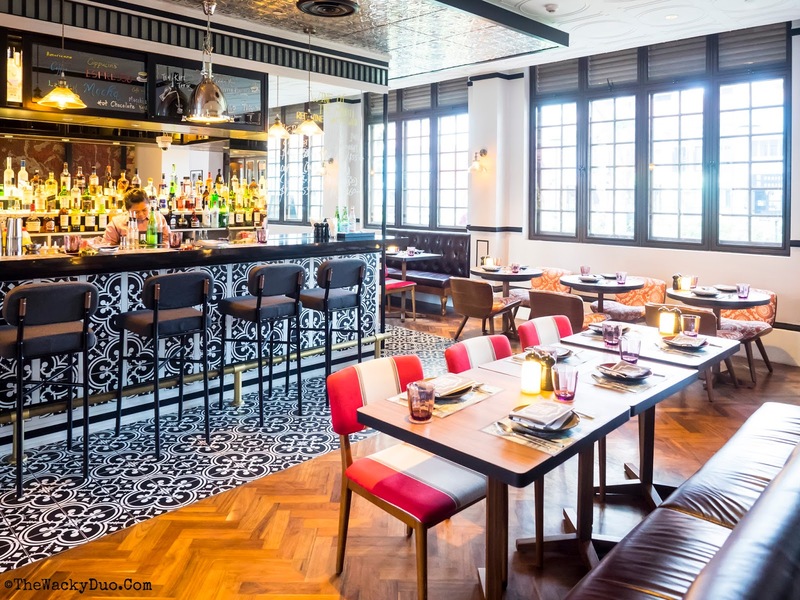 With old school rock as background music, it brings an updated vibe to Peranakan tradition. 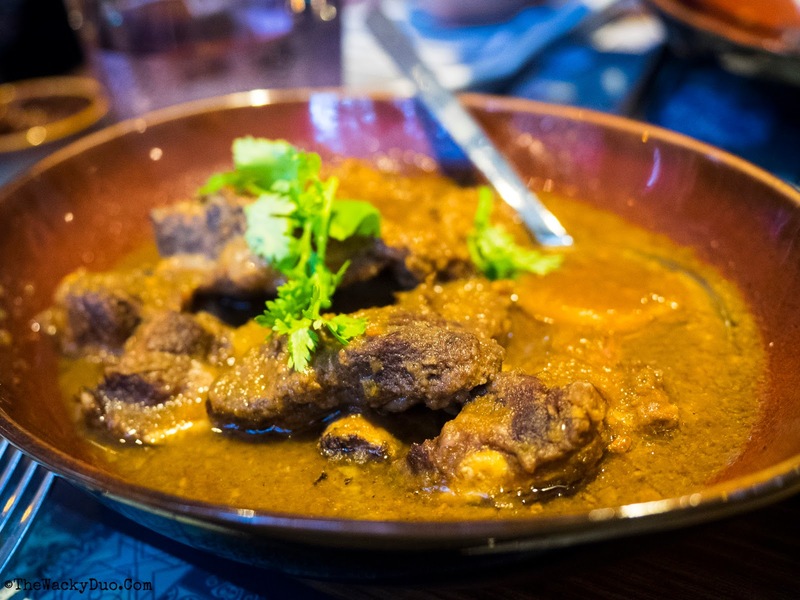 If you are looking at a modern interpretation of Peranakan cuisine, this would be it. 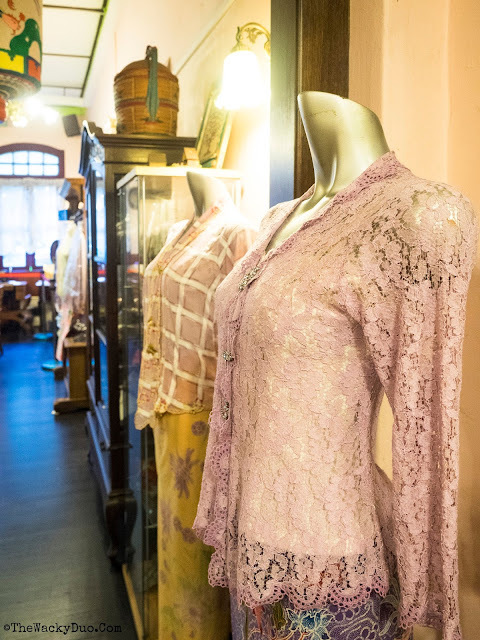 There are several Peranakan-inspired designs around Katong. New buildings had also adopted Peranakan-inspired theme into their design. Here are some things to spot while you are exploring the Peranakan culture in Katong. If you peer hard enough, you would have observed that one side of the building resembles a row of Peranakan-inspired terraces. Inside the mall, step into the Peranakan-inspired GV movie theatre to watch you favourite show. 5 Ffot ways are quite common in Katong. 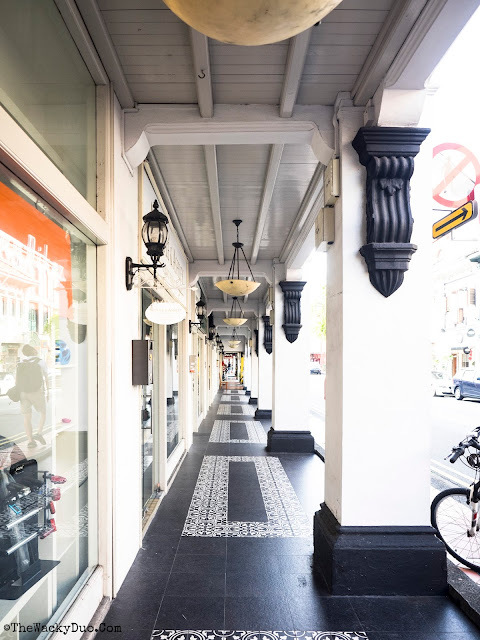 Some of the paths adopted a Peranakan feel with the design of the tiles lining up the corridor. An inspired Peranakan touch to retain the culture in Katong. Ernest Zacharevic Wall art might not strike you as Peranakan, but the underlining theme is there. 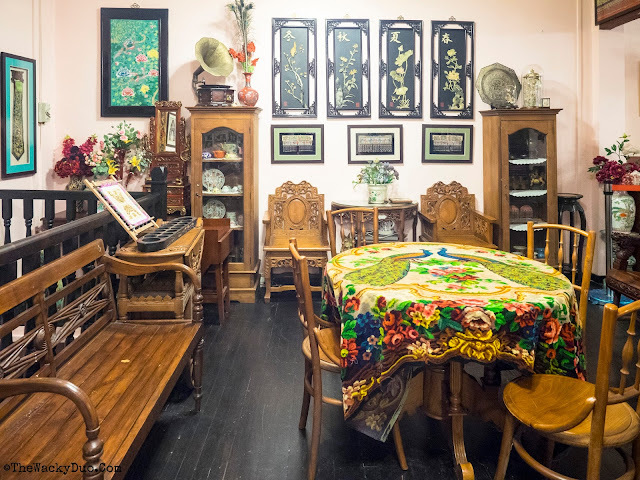 Peranakan is a culture that marries Chinese and Malay culture. The Wall Art has both culture represented, highlighting this unique characteristic of Katong. To enjoy your experience in Katong, we recommend at least a night stay in one of the Peranakan inspired hotel. This way, it will give you more time to explore what Katong has in store for you. This hotel is about 3 years old. Read our review to find out what is in store at Village Hotel Katong. 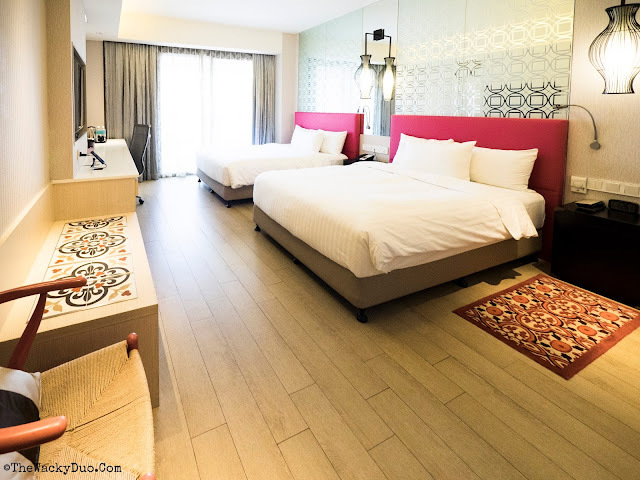 Another Peranakan-inspired theme hotel. 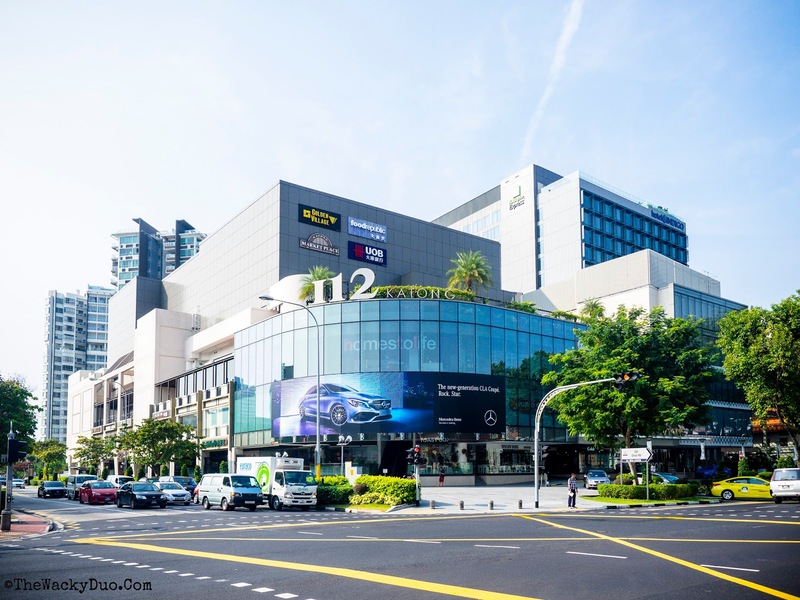 Located at Katong Square, it is just beside 112 Katong for convenience. If you are keen to live in one of the Peranakan-inspired houses, try venue hotel. 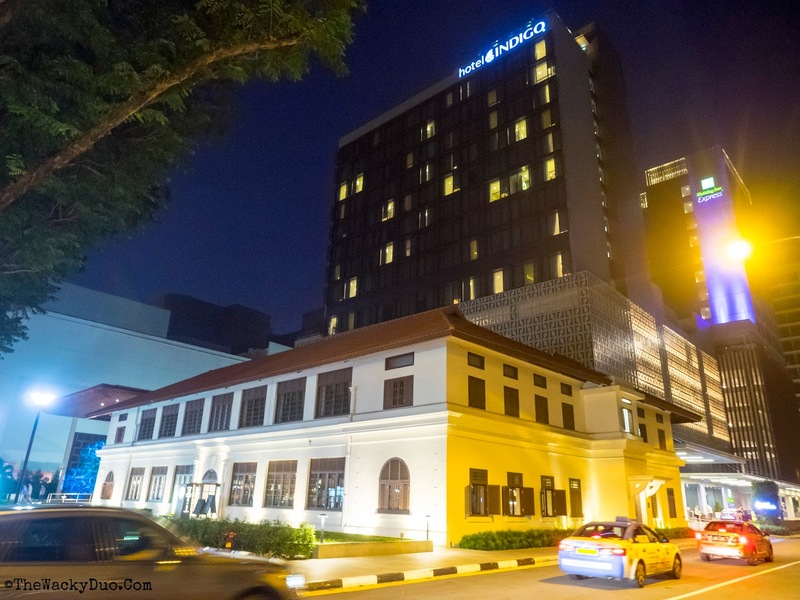 It is a boutique hotel located along Joo Chiat Road. Eateries can be found at every corner of this place. There you have it, the full Peranakan experience in Katong. Let us know if we miss anything and we will add it to this list!